I recently had the opportunity to sample and review three products from InstaNatural through participation in a Brandbacker campaign. I received the InstaNatural Dead Sea Mud Mask, the Age Defying Retinol Serum, and the Advanced Action Retinol Moisturizer. This was my first experience with the InstaNatural brand—so, what did I think of these InstaNatural skincare products? I received complimentary, full sized product samples for use in my review. All opinions and experiences are my own. I have always considered using a mud mask and I’ve always been intrigued by the benefits of the Dead Sea mud nutrients. This was my first opportunity with both the potential of the Dead Sea and with a mud mask in general. The ingredient list is pretty straightforward. 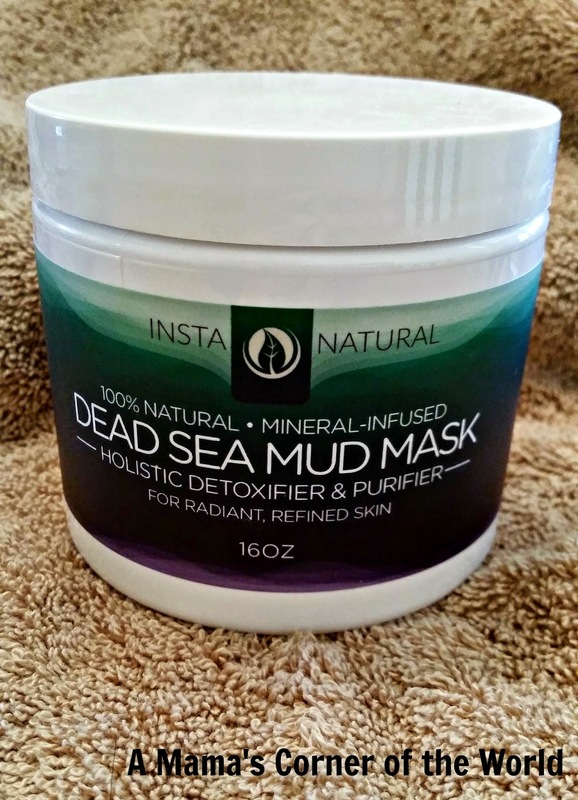 Pure Dead Sea Mud, Organic Shea Butter, Organic Sunflower Oil, Organic Aloe Vera Juice, Organic Vegetable Glycerin, Organic Jojoba Oil, Hickory Bark Extract, Organic Calendula Oil, Filtered Water, Xanthan Gum The InstaNatural Dead Sea Mud Mask is 100% Natural with primarily organic ingredients. Over the years, I have become more and conscious of the risks of the chemicals in most commercial skin care products. I have tried to shift to organic products when possible—and have become much more aware of the side effects and risks of even those types of product ingredients. After some research, I was interested in trying this mud mask—and not so worried about long term risks. 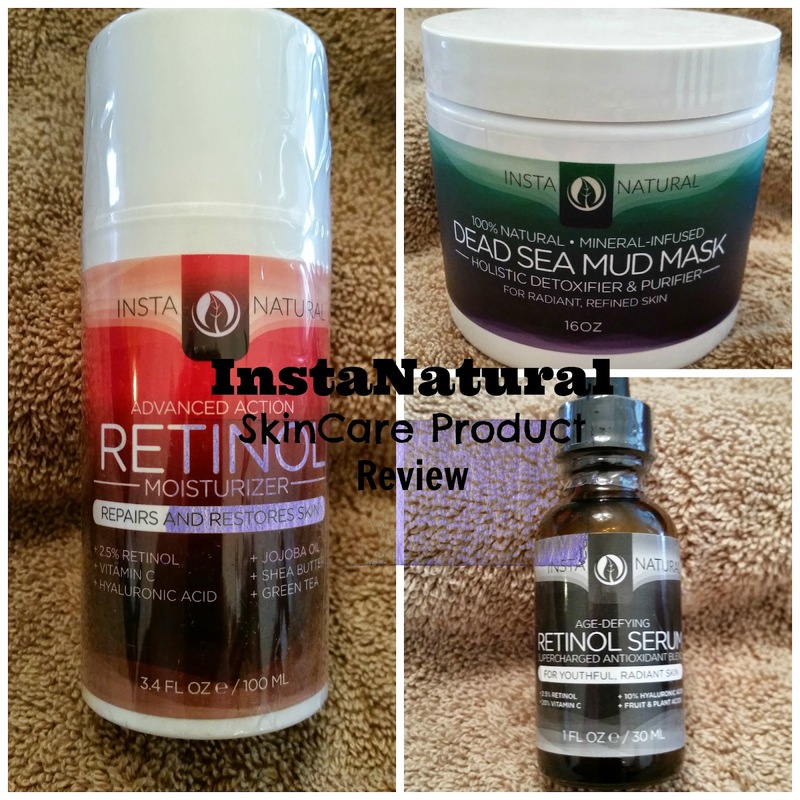 What did I think of The InstaNatural Dead Sea Mud Mask? First Impressions and First Trial. First of all, I am not a fan of outdoor mud. (I think this was my biggest reason for avoiding cosmetic mud masks.) I was expecting a thick, smelly, “dirty” product—and I was always concerned about the product price for long term use. 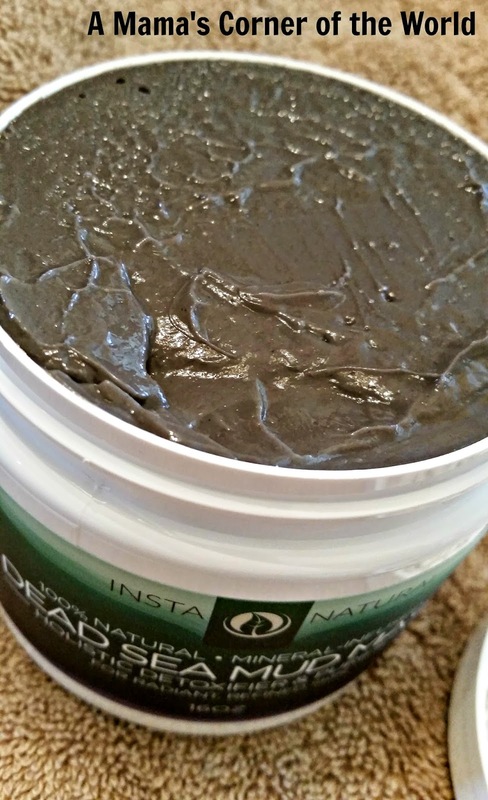 When the InstaNatural Dead Sea Mud Mask arrived, it pleasantly surprised me. The container is 16 ounces. The product directions suggest weekly use. As my internal calculator made some estimates; I calculated several weeks (a few months even) of product for the $24.97 price tag. My budget could handle that expense. The actual product has the appearance of the mud mask I had expected—but, it has a very light scent—nothing really discernible. It has a very neutral, earthy smell. The texture was more wet than I had imagined. The product is thin and has a smooth, slippery texture. It is not thick or gritty feeling. Since the product texture is a bit slippery and thin—I wasn’t sure if I was applying enough of the mud to my face. The instructions suggested a thin layer—so that was what I applied. In the end, I think the texture actually kept me from applying too much product. Did I notice any results from the Dead Sea Mud Mask? My face felt smooth and soft—immediately. I noticed a visible difference in the surface of my skin and saw obviously, smaller pores. My skin felt clean and looked brighter and healthier after that first application. Would I recommend the Dead Sea Mud Mask? Yes. I was impressed by the ingredient list—and found the product easy to use. I did not suffer any adverse reactions to the product—but, everyone’s skin is different. I used the product very lightly for the minimum recommended time and saw lasting results for days after my first trial. I certainly plan to add this product to skincare routine on the recommended weekly basis. If you are concerned about the texture, scent or effects of a mud mask—this one may be for you. Of course, you will need to be aware of the possibility that a skin irritation may occur in sensitive individuals—and your results may be different than my own. As my skin ages, I am more drawn to the healing, nurturing powers of serums to provide vital nutrients to my skin. 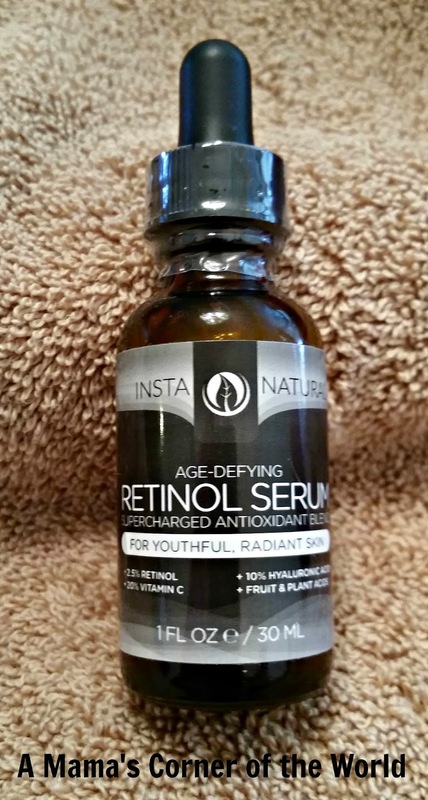 This is the first Retinol based serum I have tried—so, what did I think of the Age Defying Retinol Serum Supercharged Antioxidant Blend from InstaNatural? The InstaNatural Retinol Serum contains 2.5% Retinol, 20% Vitamin C, 10% Hyaluronic Acid, and Plant & Fruit Acids—and a list of other supporting ingredients. 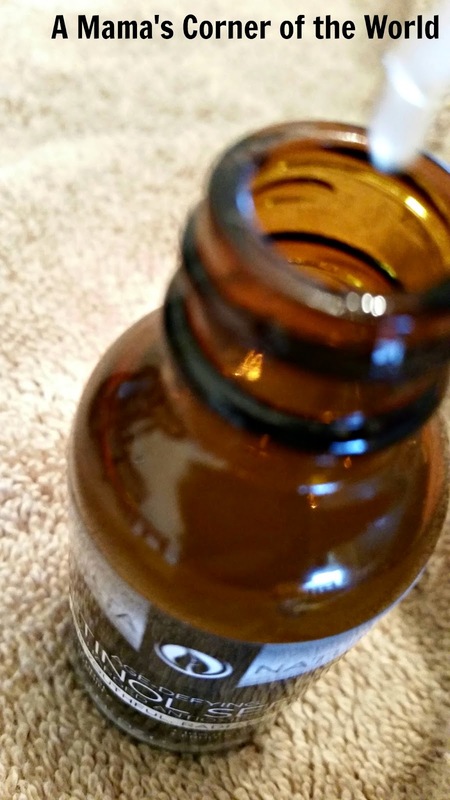 The brown bottle with screw on dropper is pretty standard for skincare serums. The dark bottle helps keep the product from breaking down and the dropper serves for easier application. The InstaNatural Retinol Serum has a very pleasing citrus scent—it is light—but, certainly detectable. This retinol serum is thin—so it runs quickly when dropped off the dropper. I love the scent of the product—but, the runny texture requires that I use more of the product than I would like during each application. I still foresee it lasting for several applications. I did follow the directions for sensitive skin and applied it only at night with a moisturizer. Did I notice any results from the InstaNatural Retinol Serum? I did not experience any adverse reactions to the serum—but, have not really noticed many results from the product either. Of course, I’ve only used it for a few days. I think it takes time for any product to produce noticeable results—so, I will be interested in my results in a few weeks. Would I recommend the InstaNatural Retinol Serum? I would recommend it as a retinol serum option—it has a lovely scent, is easy to apply, absorbs well and did not produce any adverse reactions in my sensitive skin. As always, your skin may see different results. Okay, moisturizers are a must in daily skincare routine. Since I am also a fan of the repairing and restorative properties of retinol, I was excited to try the InstaNatural Retinol Moisturizer. This cream moisturizer is suggested for either night or daytime use--although it is suggested that those with sensitive skin use the product at night. 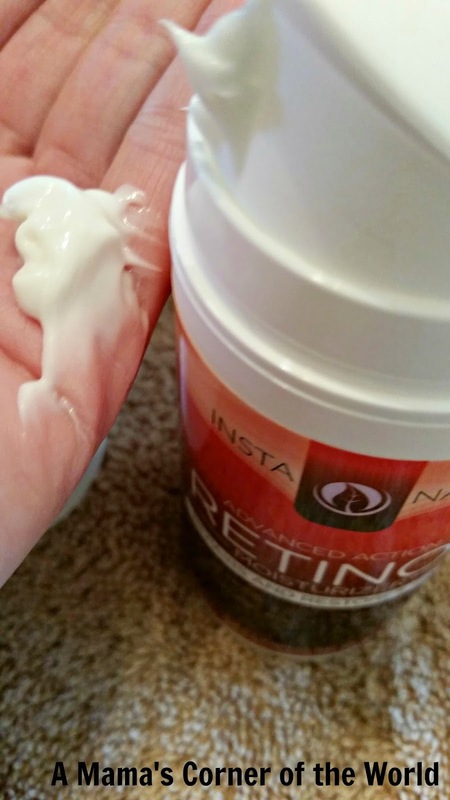 What did I think of the InstaNatural Retinol Moisturizer? This moisturizer is packaged in a vacuum-pump canister. The container dispenses the moisturizer with simple presses of the top pump. I sometimes struggle with the cost effectiveness of these types of containers as it’s not possible to users to fully remove all of the product from the containers as designed. The texture of the product is thick and creamy—and absorbs nicely without any oily residue or shine. The scent is a bit more medicinal than I would like—but, it isn’t too strong or unpleasant. As with other retinol products, those with sensitive skin should consider using this as a night moisturizer. Did I notice any results from the InstaNatural Retinol Serum? I did not experience any adverse reactions to the serum—and did feel that my skin was well hydrated after use. I’ve only used the product for a few days, so I have not noticed a lot of changes to the appearance of my skin. Would I recommend the InstaNatural Retinol Serum? I would recommend this as a retinol moisturizer option—I am not a fan of the scent—but, the product applies easily, absorbs well and offers adequate hydration. I did use this product during the day—with a sunscreen—and my sensitive skin saw no issues. As always, your skin may see different results. 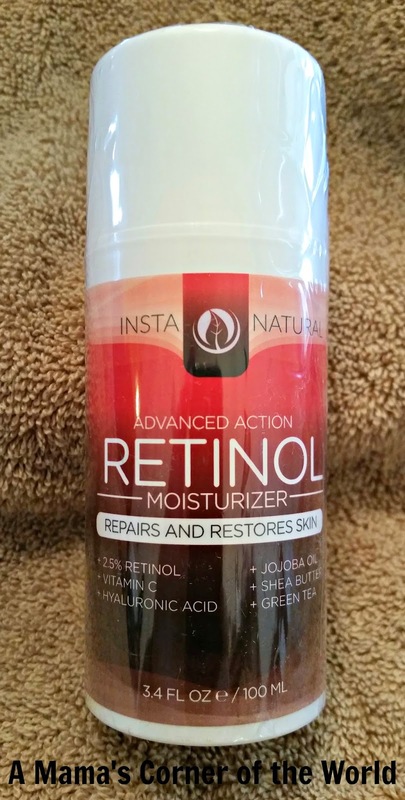 Buy InstaNatural Retinol Moisturizer Cream on Amazon. InstaNatural offers a money back guarantee on all of the products featured here. The products may be purchased via Amazon. Disclosure: I received complimentary items for use in this review via my affiliation with BrandBacker. All opinions and experiences are my own.